2013 Workers' Compensation Management Guidebook Includes 80 New Topics, Helps Employers Cut Workers' Comp Costs 20% to 50%. Amaxx and Advisen Collaborate to Provide Cost-Reduction Tools for Employers, Insurance Brokers, TPAs, Carriers and Consultants. NEW YORK, NY--(Marketwire - Jan 14, 2013) - The 2013 version of Workers' Compensation Management Program is an expanded guidebook offering detailed steps on how to develop a workers' compensation cost-containment program proven to cut costs 20% to 50%. Written by Amaxx Risk Solutions, the 200-page guidebook (www.WCManual.com) is based on years of field research and implementation. Its step-by-step guidelines show how any employer can develop and run a successful workers' compensation cost-containment program. Dozens of cost-reduction techniques are covered along with details for implementation. Employers, TPAs, insurance brokers, consultants and insurers will find the book to be an information goldmine. 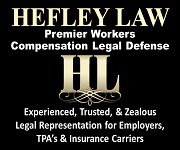 New topics include Defenses to Workers' Compensation Claims, Waiting Periods, Claims Leakage, Claims Reserving, Claim Plans of Action, How to Select a TPA and Evaluate a TPA, Alternative Markets, Monitoring the Workplace, Social Media and Medical Records, Reducing Worker Dependence on Opioids, Wellness Programs, Drug Testing, Structured Settlements, Social Security Disability Offsets, Pre-employment Screening, Federal Employee Compensation Act, and Glossary of Abbreviations. The Facilitator's Agenda has been newly customized to be used with the book as a training program. A single copy costs $249 at http://corner.advisen.com/wcbooks. Bulk pricing and customized covers for agents, brokers and associations are available for as low as $49. For 25 years, Amaxx has helped companies in all industries reduce workers' compensation costs. Companies working with Amaxx consultants have consistently cut workers' comp costs from 20% to 50%. Advisen manages business information and market data for the commercial insurance industry and maintains critical risk analytics and timesaving workflow tools for over 530 industry-leading firms and is the technology partner of Amaxx Risk Solutions. Advisen (www.advisen.com) is headquartered in New York.